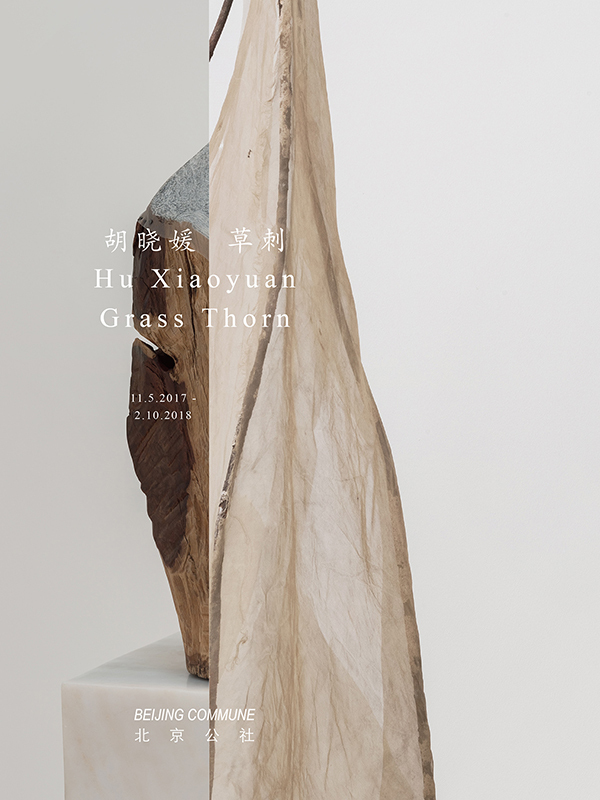 Beijing Commune presents Hu Xiaoyuan’s fourth solo exhibition “Grass Thorn” at the gallery and it showcases a series of her most recent works, and the exhibition will last through February 10th, 2018. Hu Xiaoyuan was born in Harbin in 1977. She graduated from the China Central Academy of Fine Arts, and currently lives and works in Beijing. Hu Xiaoyuan’s works have been widely shown in the international art scenes. Important shows she has taken part in include “The Great Acceleration: Taipei Biennial” (Taipei, 2014), “The Ungovernables: New Museum Triennial” (New York, 2012), and Documental12 (Kassel, 2007), etc. Her works have also been shown in numerous museums and art centers, such as Palais de Tokyo, Museum Boijmans Van Beuningen, Tampa Museum of Art, Museum of Fine Arts, St.Petersburg, Orange County Museum of Art, Power Station of Art, Musée d’Art Moderne dela Ville de Paris, Bildmuseet Umeå University, Shanghai Rockbund Art Museum, UllensCenter for Contemporary Art, Kunstmuseum Basel, and so on. Her works have been collected by Hammer Museum, Los Angeles; M+Museum, Hong Kong, and Power Station of Art, Shanghai, etc. Courtesy of the artist and Beijing Commune, for further information please visit www.beijingcommune.com.